(48 US Mainland States, 6-10 Business Days Delivery). You may also choose rush devivery for only $7.99 via priority mail shipping service regardless how small or big of your order, 3-5 business days delivery. During Holiday Season, Media Mail Shipping Service may take longer than normal delivery time, we stronly recommended Priority Mail Service if you wish to recieve your package sooner. If there is SHIPPING FEE during Checkout, Re-Enter your shipping address when checkout. 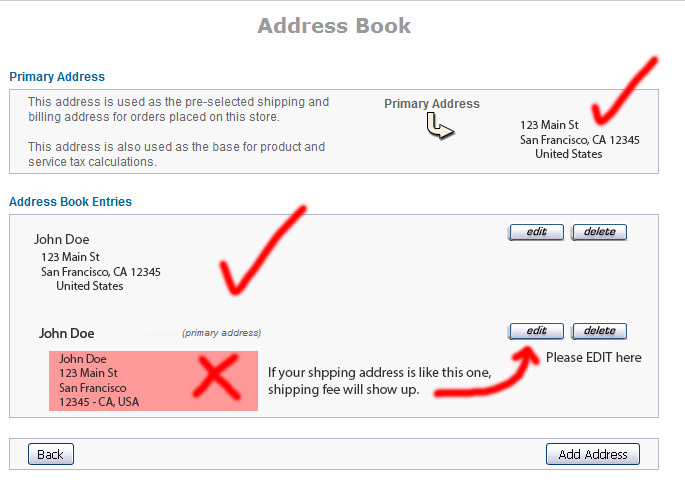 Please click Here how to re-enter your address / Editing your shipping address.